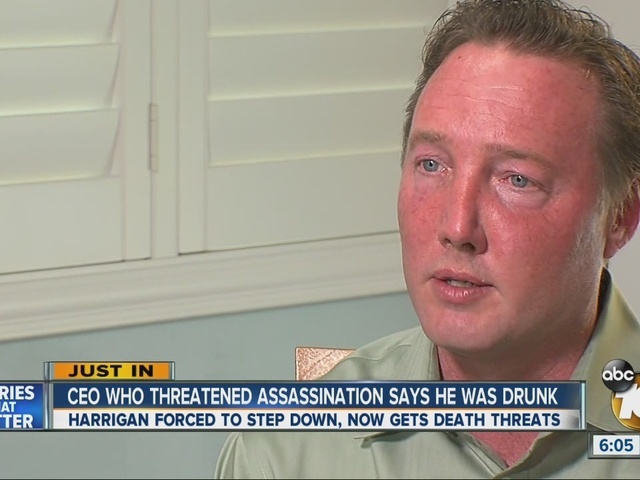 SAN DIEGO (KGTV) — The former CEO of a cybersecurity firm says he was drunk when he threatened the life of President-elect Donald Trump on social media — a series of posts that eventually cost him his job. Matt Harrigan, was the CEO of PacketSled until he resigned his position Tuesday morning. He said he's sorry for his words, and he wants his side of the story told. Harrigan wrote the series of Facebook posts on election night. They were words that he thought only his friends would see. He wrote, "I'm going to kill the president. elect" and "Bring it, secret service." He even mentioned getting a sniper rifle and targeting the White House once Donald Trump was living there. Harrigan said his Facebook friends shared the post on Twitter and that's how it went viral. He says, he's ashamed of what he wrote. "I'm incredibly apologetic, for that. I don't know," Harrigan said. "It was [a] very, very dumb thing to do, and I regret it very much... and I would take it back if I could." Harrigan said he was drunk when he wrote the “absurd comments” on election night before Donald Trump won the election. He said most of his friends knew he was just being “over the top” with his “distasteful joke”. At least one of those friends wasn’t amused, sharing the disturbing messages outside their circle of Facebook friends. “It started to trend very, very quickly and started spiraling and I was blown away,” Harrigan said. The Secret Service spent two hours interviewing Harrigan inside his Del Mar home. They did not say whether criminal charged would be filed against the married father of two. 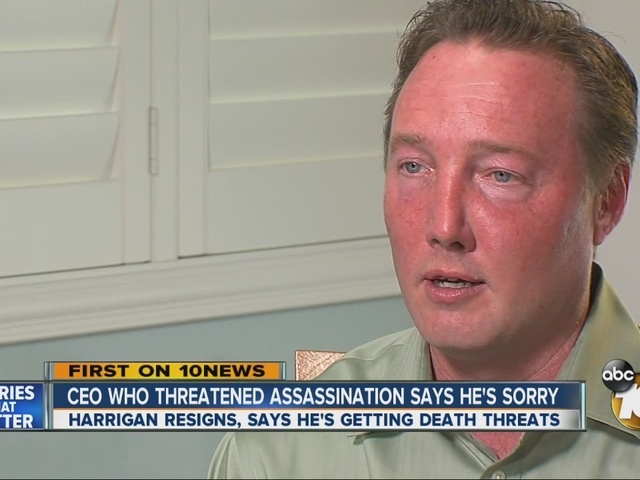 Harrigan said his family has been forced out of their home by death threats from people unhappy with his remarks. Although he said the threats he made against Donald Trump were “a joke”, he is taking the threats against his family seriously.